Why reinvent the wheel when you can have over 350 expertly written sample personnel policies (also available in CD format) on 100 HR subjects at your fingertips? Writing your HR policies couldn't be easier - you simply pick the subject, select the policy that matches your company's style (from conservative to progressive), modify the policy to meet your organization's needs, and you're ready to go. 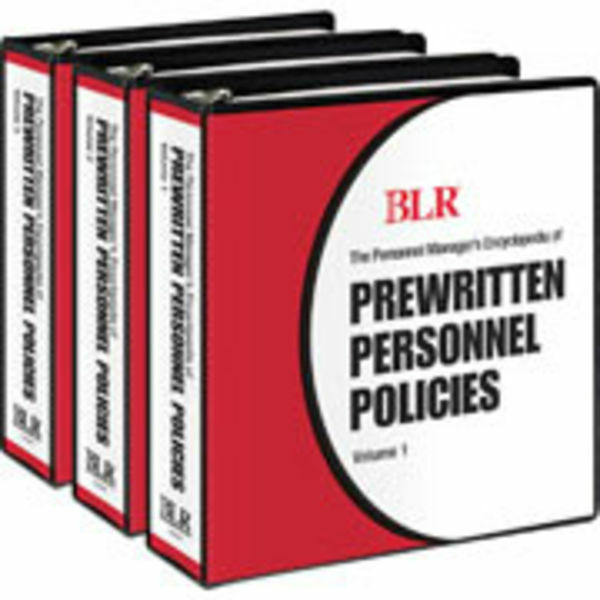 This three-volume set has done the research and the the writing to help ensure your policies meet strict legal requirements. 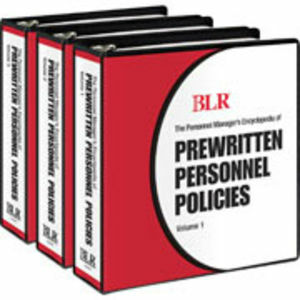 Bonus section shows you step-by-step how to put together an effective policy manual With the Encyclopedia of Prewritten Personnel Policies you can write your own professionally developed, employer-proven policy manual by just selecting from or adapting more than 350 field-tested policy statements.